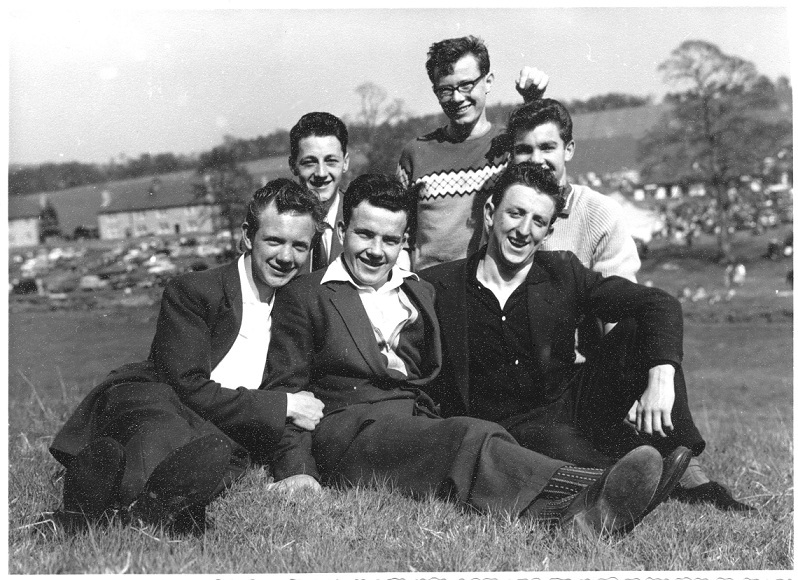 This is my Brother Gordon Steele with his pals at the Cattle show in the early 60's. The picture on the left is Tam McKewan and Gordon. On the right back row is Gordon, John Houston and Bobby Fowler. 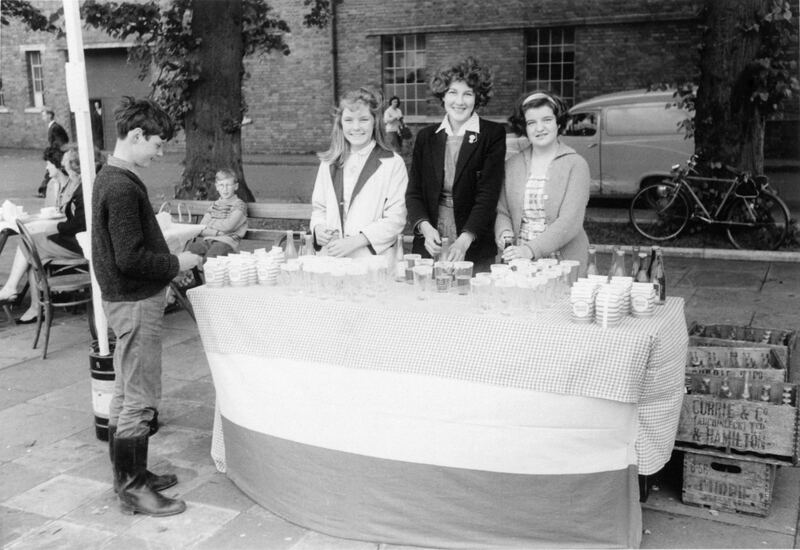 Front row is Sam Peden, Jackie Haliday and Thomson Boyle. 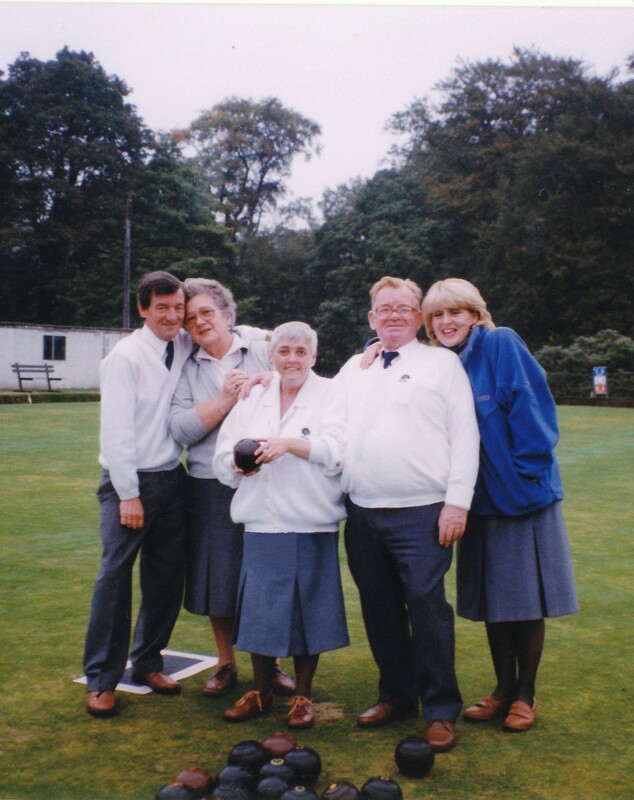 This about 1963 left to right: Jimmy McKellar, George Stoba, Madeline McCrae, Marion Faulds, Anna Aitkin. 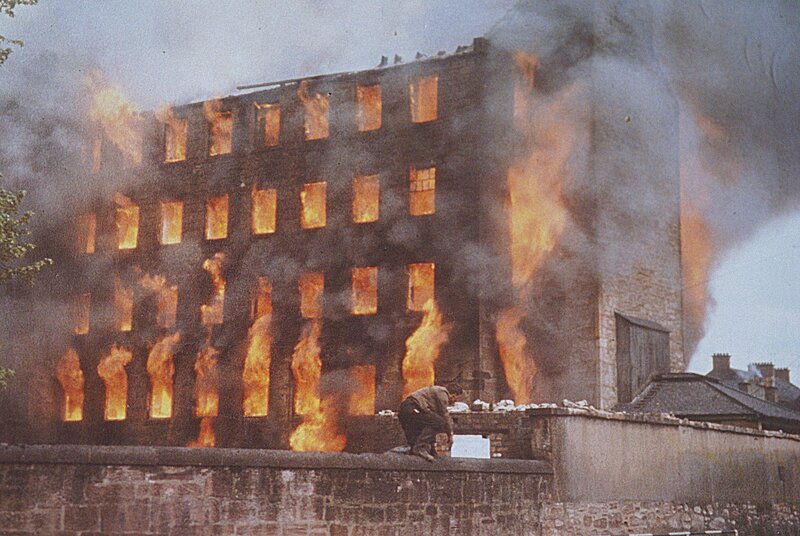 Thanks to Colin Chisholm for this picture of the old mill fire. Makes you wonder if the guy on the wall was the one who started it. 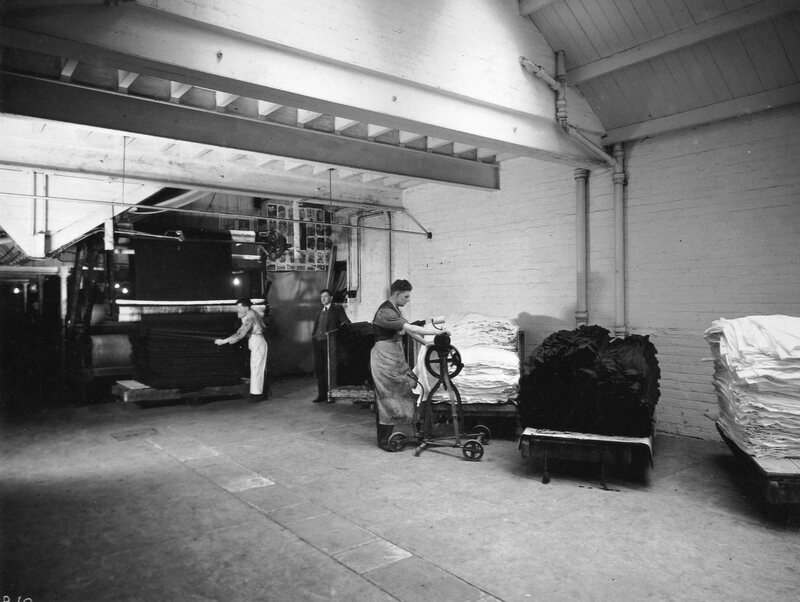 The following 3 pictures were donated by Jim Bunting from when his grand father worked in the bleachworks in Catrine. The women in this picture are all so tidily dressed and their hair is all done to perfection. 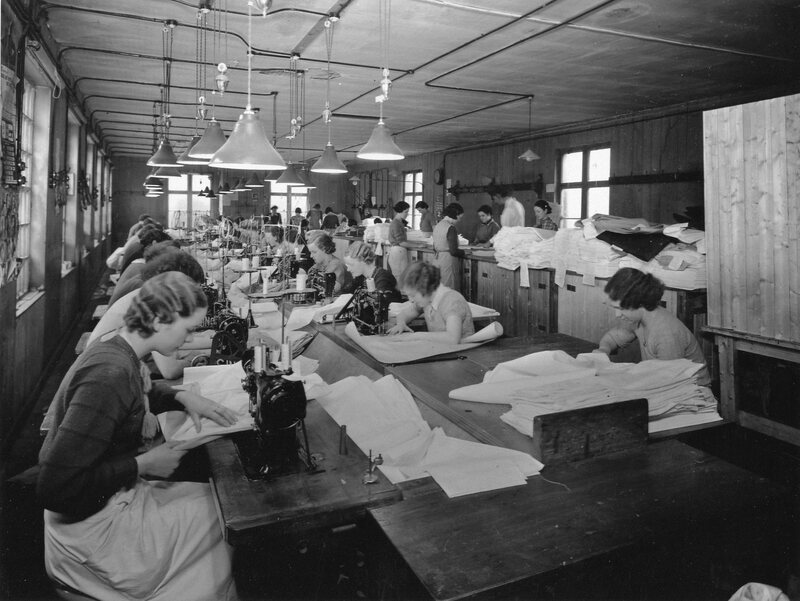 It makes you wonder if this was taken as part of a promotion for the company or if this reflects the working women of that time. 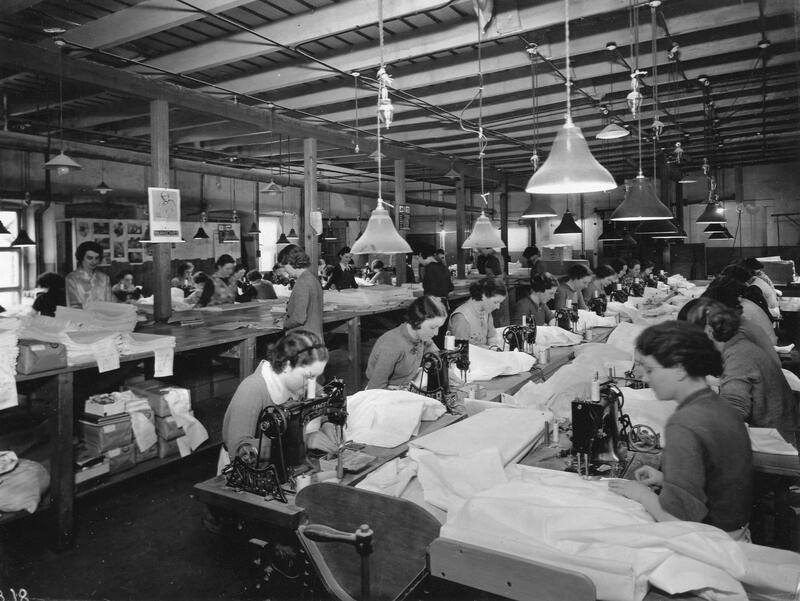 The old singer sewing machines were a wonderful tool in their day. My mother had one too and she used to take in sewing for people at home. 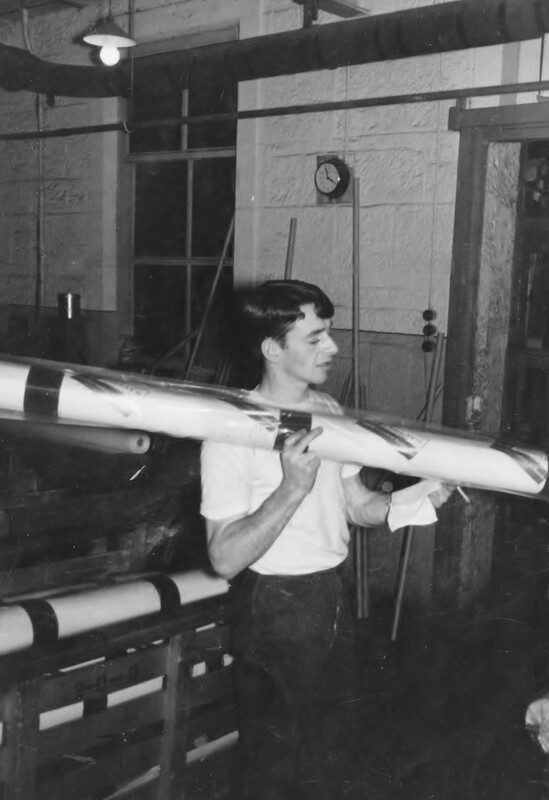 This is a picture I found in the family photos of my brother Bill Steele when he worked in the blind department of the bleachworks with Willie Carson. 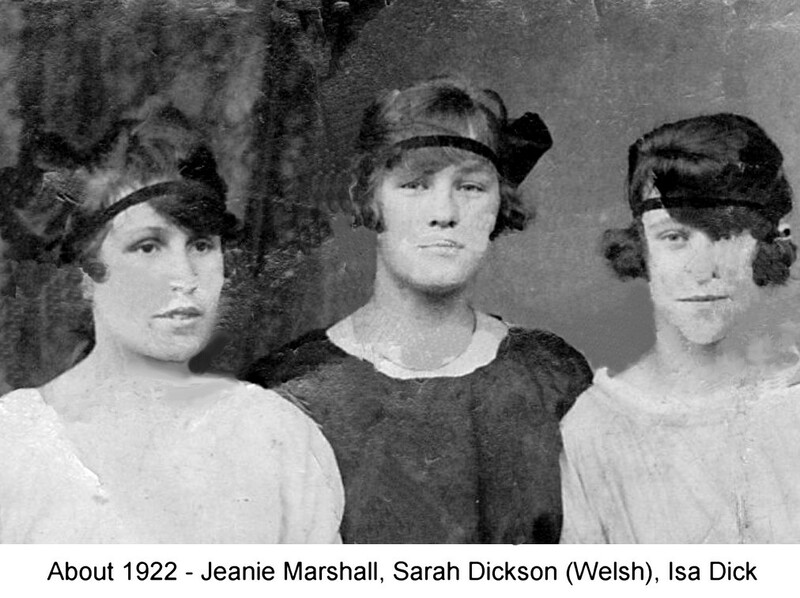 Many thanks to Jean Hamilton nee Welsh for the following 4 photographs. Residents of Wood Street, perhaps in early to mid 1930's. I recognise some of the faces although I can't put the names to them. I think this is Ina Jackson's grandmother with the baby on the front row second from the right. And the 4th from the right front row might be Mrs. Gibson and one of her boys. First on the left back row reminds me of the Dicks. Hope someone can put some names to them. I look forward to your input. Let me know if you see your granny here. It's reminding me of how we used to get some nice warm summer days when we were young with the tar melting on the roads. 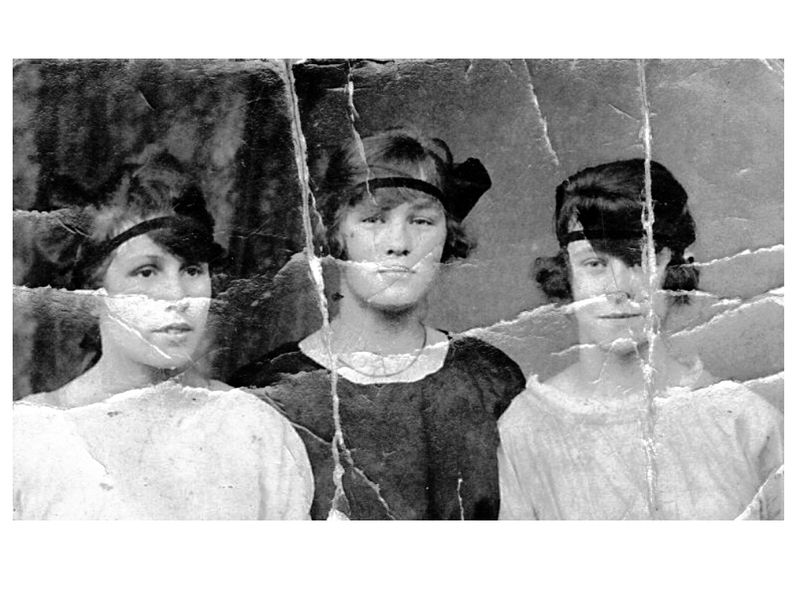 There is a big scratch through picture I tried to clone out but the image of the woman on the back row 5th from the right is damaged beyond repair. 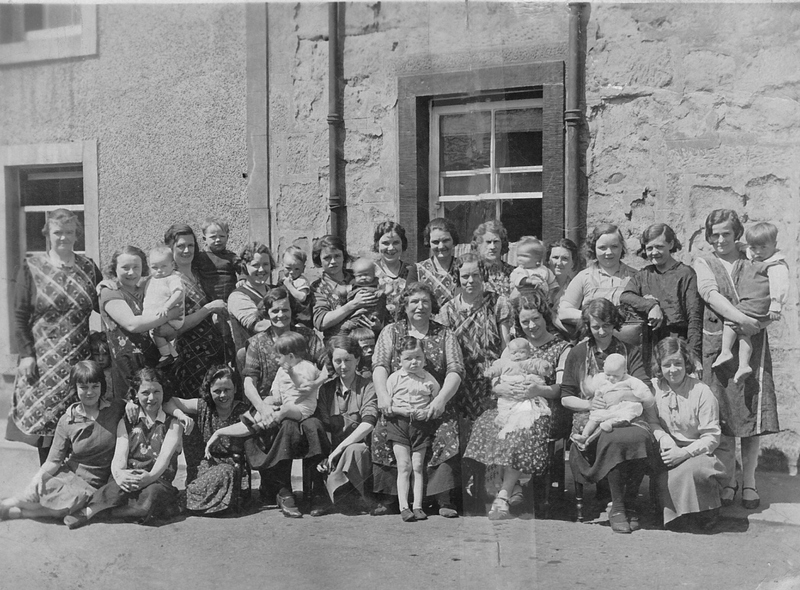 back row left to right: Iris Clanachan, Flora Miller, Francis Kiernan, ?, Morag McMurtry, ?, May Paterson, Elizabeth Park, ?. 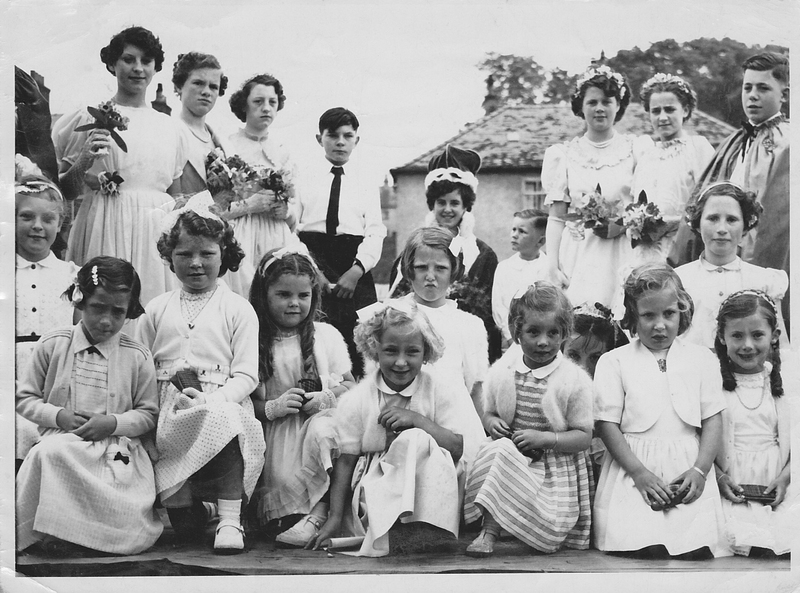 front row: Eileen Kyle, ?, Elizabeth Anderson, Netta McIlvanney, Jean Welsh, Wilma Wotherspoon, ?, Peeping through Janet Fulton, Sandra King, Betty Weir, Audrey McGowan. 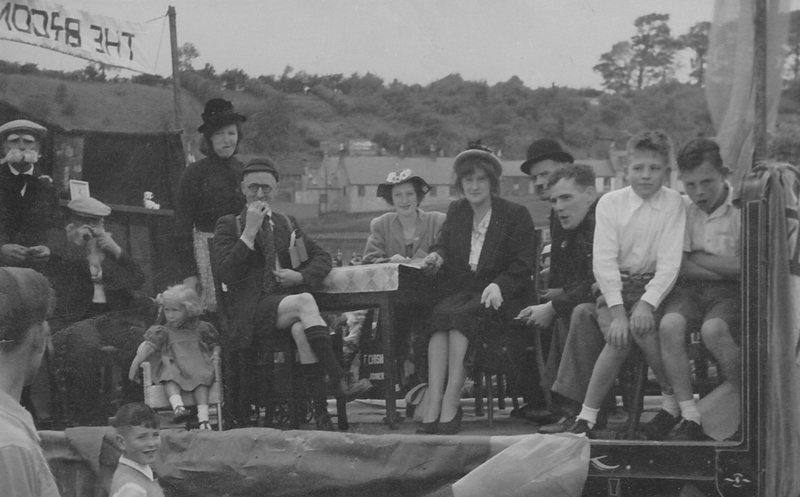 Picture of Catrine Gala Day circa 1951 "The Broons" float. I may be wrong, but I think many of the participants were living on Riverside Cres. Daphne - Gina Kyle ??? I did a lot of retouching with this old photo so here is the original. 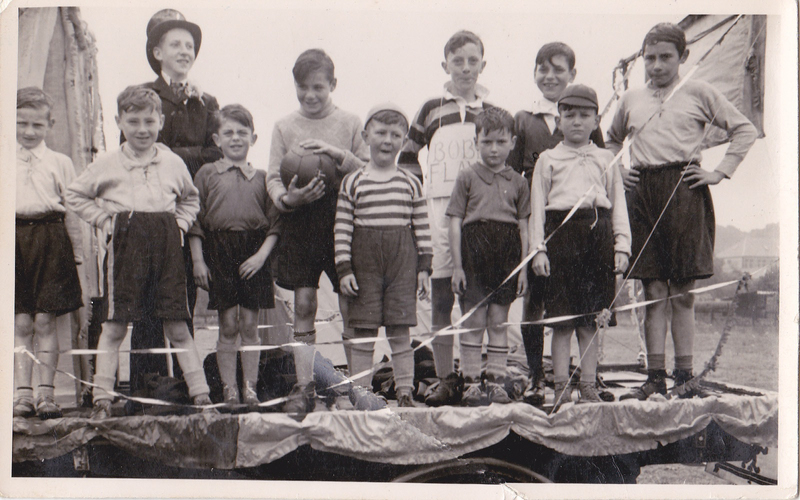 Thanks to Doug Hood for this photo from when he was a youngster and lived in St.Cuthbert Street. He has named them as follows. I can't pinpoint the date but it is around early fifties, or very late forties. We were in a parade representing St Cuthbert Street. Back row left to right - Robin Stevenson, Stuart Dennim, Tommy Reid, Jock Weir and David Smith. Front - Bert Reid, Ewing White, Jim Richmond, Robert Gemmel, Billy McKay, Douglas Hood. 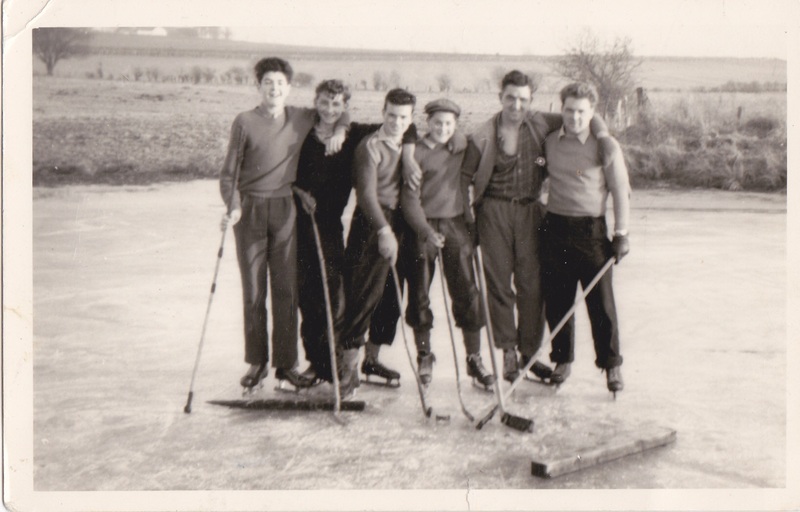 And this is another from Doug Hood of some skaters playing hockey at what looks like Shawwood farm on what we always called Shinuck, the pond on the top side of Catrine, heading out to Auchinleck. The only one I recognise is Jimmy Miller. Dougie recognises the following: Jimmy Millar, Bert Reid (we called him Buff)' ?, Jack Kennedy, ?, John Thomson. Barney McDowell. 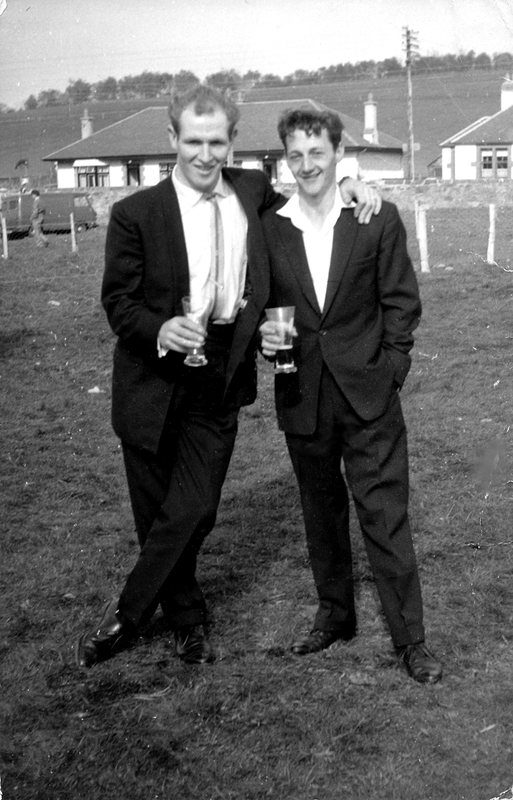 I used to enjoy a blether with Barney and Comic Wilson and wee Willie Duncan when they walked up the howfort road to Catrine House when I was there when Jock smith had the nursery. 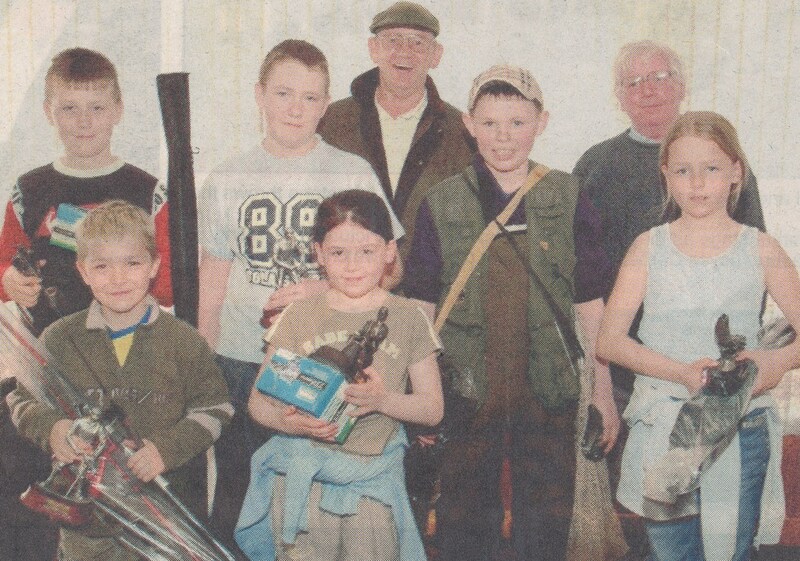 SamTomlin and Billy Rafferty from a Chronicle photo of the early days of the junior fishing competitions at Catrine Angling club. Contest was the reel thing. Reeling them in were. The full list of winners as follows:- Under 10s- 1st Liam Tomlin, 2nd Zoe McMurdo, 3rd Tammy McMurdo. Under 16s- 1st Scott Campbell, 2nd Ian Raffery, 3rd Robert Richmond. 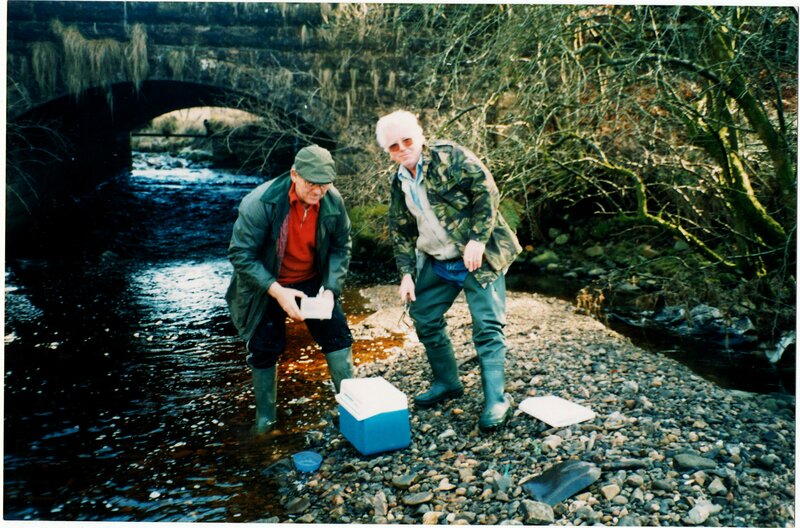 Here they are restocking the rivers. Billy Raffery and Jimmpy Kyle. 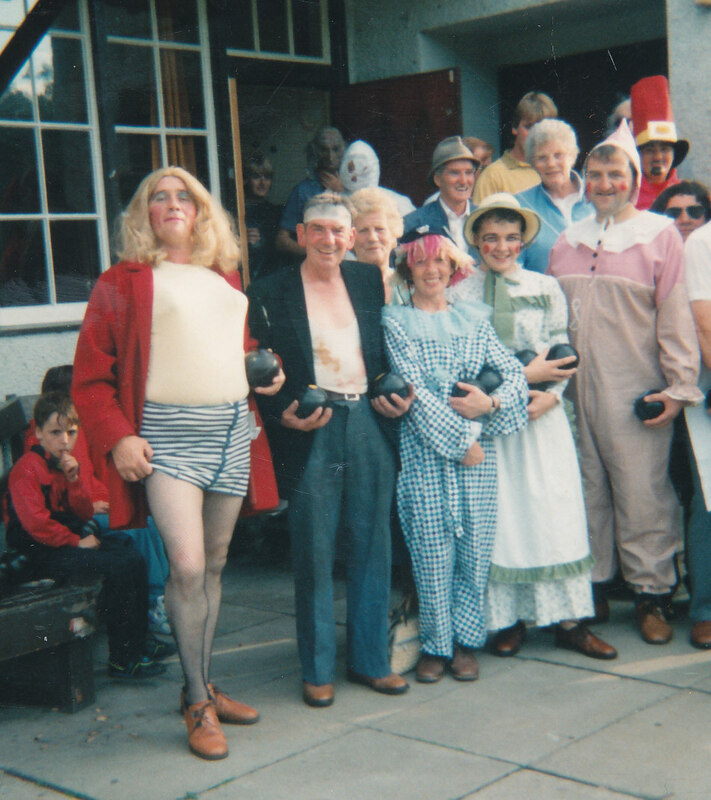 Well I leave you to work it out for yourselves who the blond bombshell is. the wee boy with his thumb in his mouth looks a bit frightened with the whole thing. Lots of faces now gone but it's good to see them again in their happier days. This looks like Billy Rafferty and the old guy from the beech grove garden here. 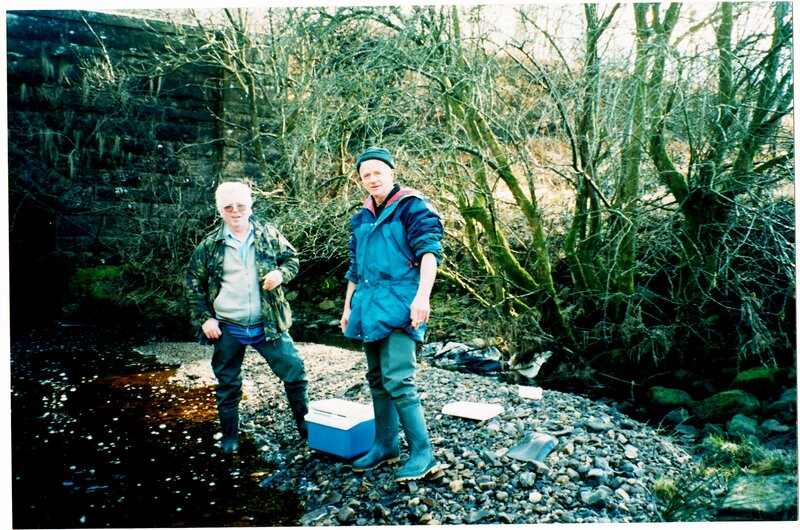 They must have been on the telly promoting the restocking of the waters. The Bowling green with Lynne Brown, Wattie McClure, Greta Tomlin, Nettie Herbertson, and ? 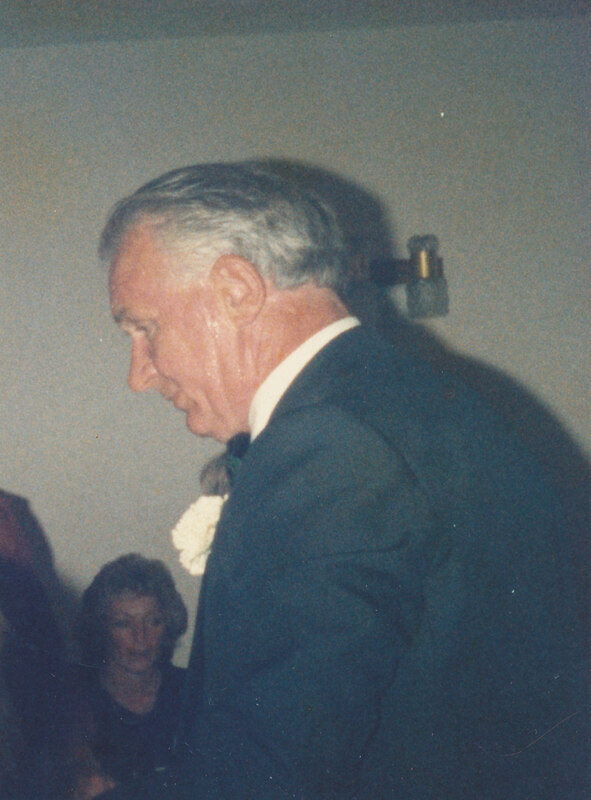 Maybe Jimmy Currie. Thanks again Sam and Greta for the Photos.